The Consistory Degrees are very different from all the preceding degrees. They attempt to illustrate the creation of the ideal balance between the spiritual and the temporal. 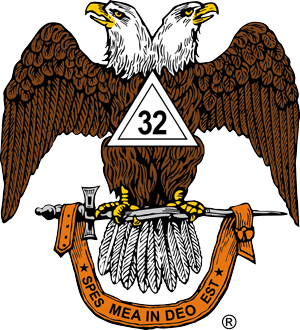 The meetings of members of the Thirty-second Degree, or Sublime Princes of the Royal Secret in the Ancient and Accepted Scottish Rite, are called Consistories. The elective officers are, according to the ritual of the Northern Jurisdiction of the United States, a Commander-in-Chief, Lieutenant-Commanders, Chancellor, Minister of State, Almoner, Registrar, and Treasurer. In the Southern Jurisdiction it is slightly different, the second and third officers being called Seneschal, Preceptor. A Consistory in the Northern Jurisdiction confers the Degrees from the nineteenth to the thirty-second inclusive. The Consistories in the Southern Jurisdiction confers the Degrees from the Thirty-first and Thirty-second Degrees.